You know those loyalty coffee cards that clog up your wallet/purse? Well think of our Bloom Points as a virtual one of those. Every time you buy anything from our shop you will receive Bloom Points. 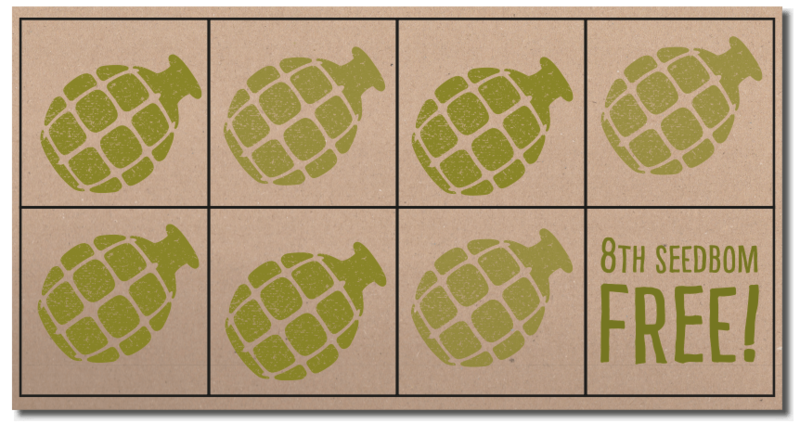 For example, when you buy 7 Seedboms you’ll gain enough points to get your 8th free next time you shop. It’s that simple, so why not get shopping and start earning Bloom Points today! You must earn at least 14 Bloom Points before you can redeem them. To redeem points your shopping crate must total at least £7.20 (the equivalent to 2 Seedboms). Bloom Points can only be spent in the Kabloom Shop so I wouldn’t recommend trying to redeem them at your local supermarket, it doesn’t go down well, believe me! Bloom Points can only be redeemed against future orders via the Kabloom Shop and cannot be exchanged for cash or personal favours of any kind. Bloom Points are not available to wholesale customers. There is no limit as to how many Bloom Points you can earn, so go crazy! 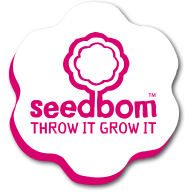 Just think if you earn enough you could hold a Seedbom party and invite all your friends and family over to throw a Seedbom in your honour! Bloom Points are great, that’s it.